Join us as we welcome the drummers of "Rock Your Beat", an interactive, educational, and FUN group percussive music experience that teaches students about rhythm, tempo, beat, and sound through the use of percussion instruments. Please bring a sack lunch, beverage and dress for outdoor play. 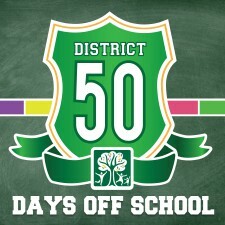 This is a non-school day for District 50 students only.